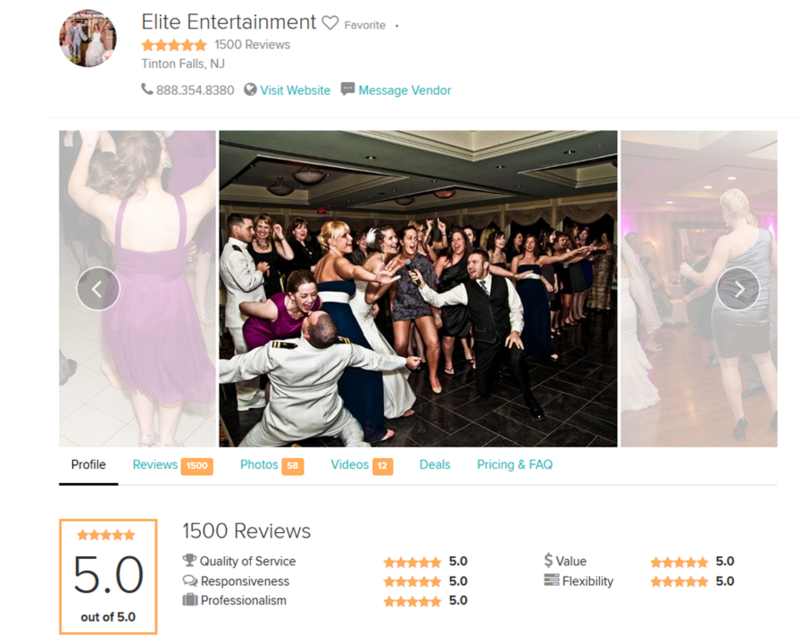 We recently had the honor of receiving our 1,500th review on WeddingWire which puts us among the top 15 companies in the entire country in terms of number of reviews, and even higher among companies with that many reviews who still have a 5.0 average. And that’s really the thing we are most proud of, the combination of quantity AND quality. Because whether we are performing at four weddings on a given Saturday night, or fourteen, we always want to exceed our client’s expectations and have them happily sing our praises. Which is really, when you think about it, what a positive review is all about. If you meet someone’s expectations, if you provide exactly what they expect, odds are they aren’t going to offer you a review. Especially in today’s day and age when everyone is constantly bombarded with requests to leave reviews somewhere. You buy a movie ticket through Fandango, you get a review request. You book a restaurant through Open Table, you get a review request. You come back from a vacation planned through Expedia, you get a review request. Most people have review fatigue by this point! So we are well aware that meeting our client’s expectations is not enough. We need to exceed them, consistently, for brides and grooms to take the time to go online and write a review. So when we pass a significant number like 1,000 or our most recent accomplishment, 1,500, we feel pride in what we do each and every weekend. And it just makes us all the more determined to keep doing it. We at Elite built our reputation years before the internet was even a thing, so we know what it takes. And now that websites like WeddingWire are so significant to our industry, it means so much to us when our clients take the time to review us. We’re always grateful!